This book maps the convergence of governance and connectivity within Asia established through the spatial dynamics of trade, capital, conflict, borders, and mobility. It situates Indian trade and governance policies within a broader Asian and global context. 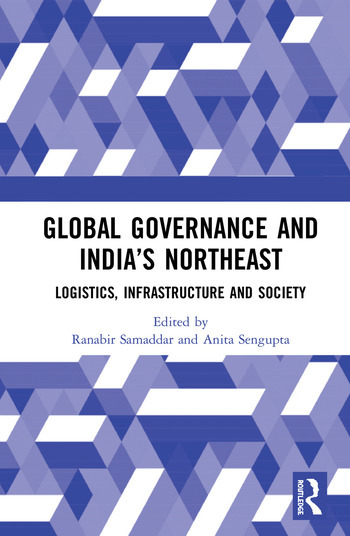 Focusing on India’s Northeast, in particular on India’s Look and Act East Policy, the volume underscores how logistical governance in the region can bring economic and political transformations. It explores the projected development of the Northeast into a gateway of transformative cultural interaction among people, just as the Silk Road became a conduit for Buddhism to travel along with musical instruments and tea. Comprehensive and topical, this book will be useful for scholars and researchers of political studies, international relations, governance studies, development studies, international trade and economics and for think tanks working on South and Southeast Asia. Ranabir Samaddar belongs to the critical school of thinking and is considered as one of the foremost theorists in the field of forced migration studies. He has worked extensively on issues of forced migration, the theory and practices of dialogue, nationalism and post-colonial statehood in South Asia, and new regimes of technological restructuring and labour control. He is currently the Distinguished Chair in Migration and Forced Migration Studies, Calcutta Research Group. Anita Sengupta is an area studies specialist. Her areas of interest include issues of identity politics, migration, gender, borders, critical geopolitics, and logistics from an Asian perspective. She is a regular commentator on debates on Asian affairs and is part of Asia in Global Affairs, an independent research forum which looks at a wide range of global issues. She is currently the Director of the Calcutta Research Group in Kolkata, India.